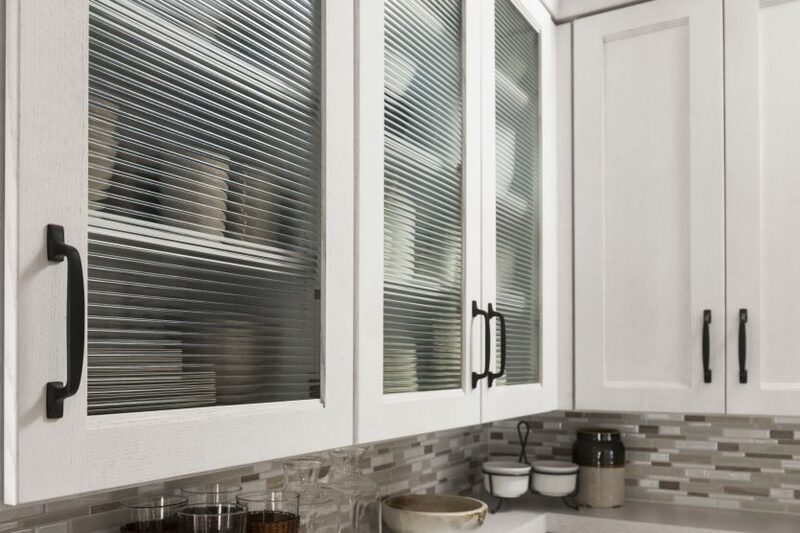 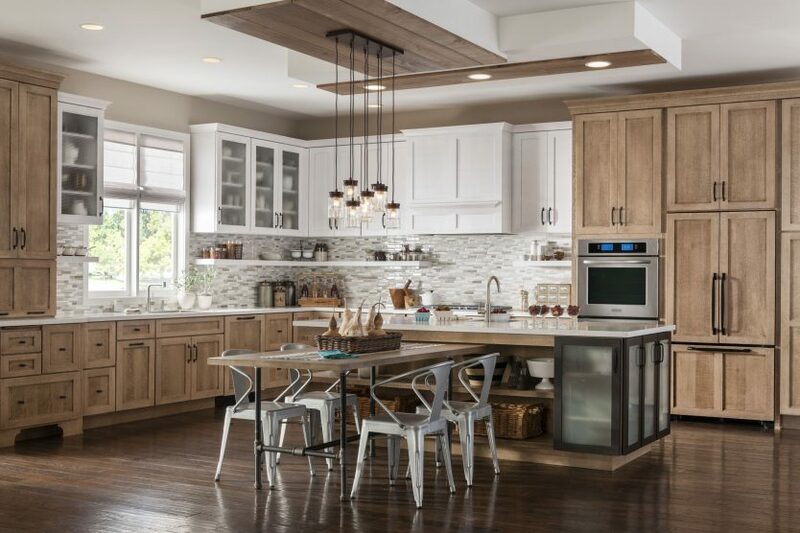 As you create an inviting home where hosting friends and family is effortless, Brockton gives you the clean, airy look that will form the perfect backdrop for lasting memories. 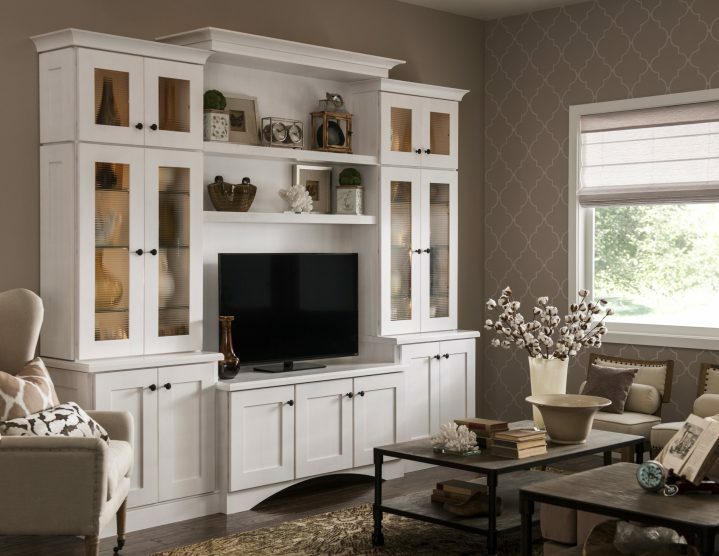 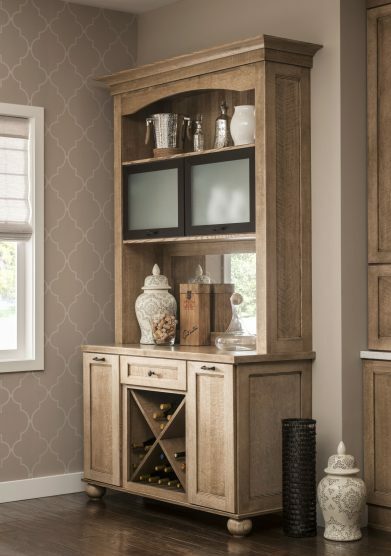 (Iconic) Brockton with Flat Panel in Cappuccino and Cottage White Sheer on quartersawn oak with Bellagio oil-rubbed bronze with Frosted glass. 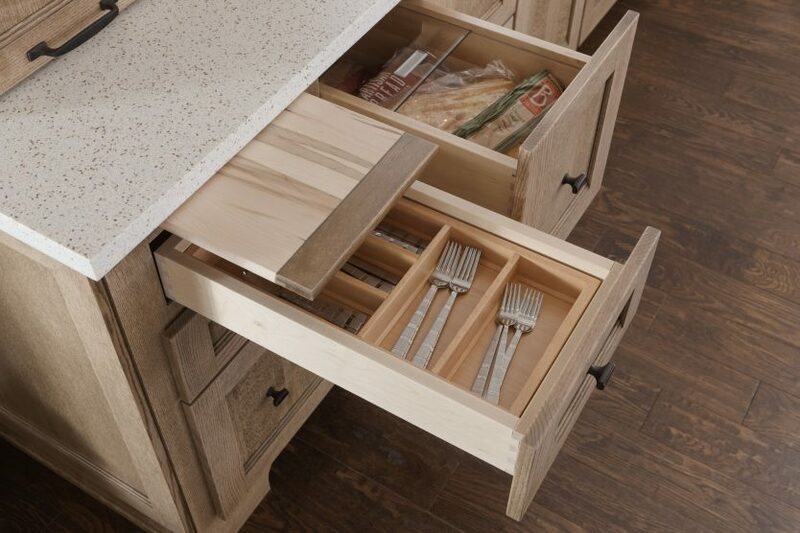 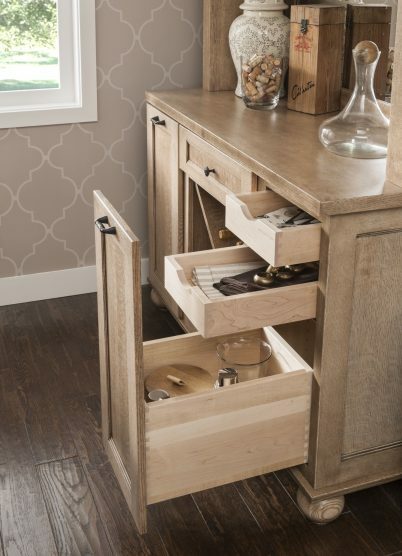 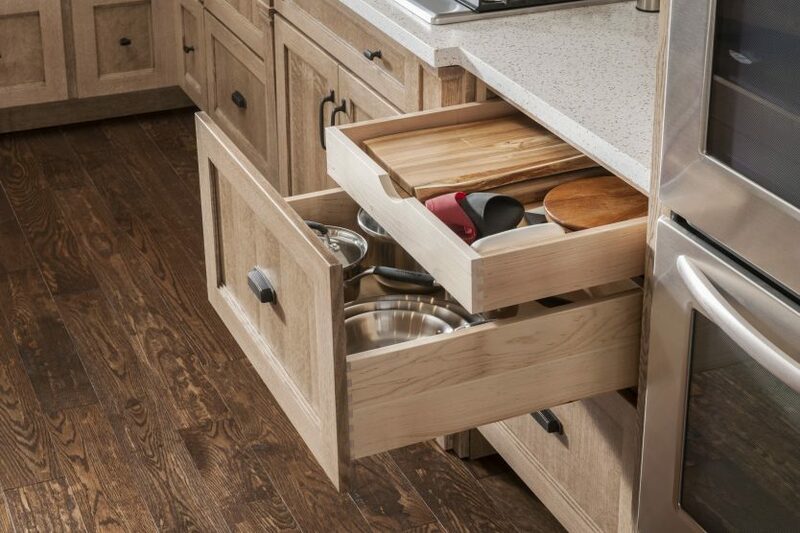 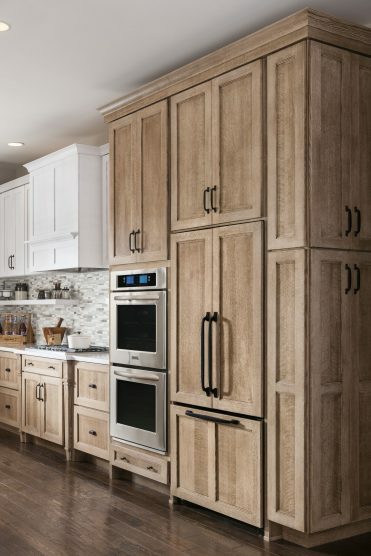 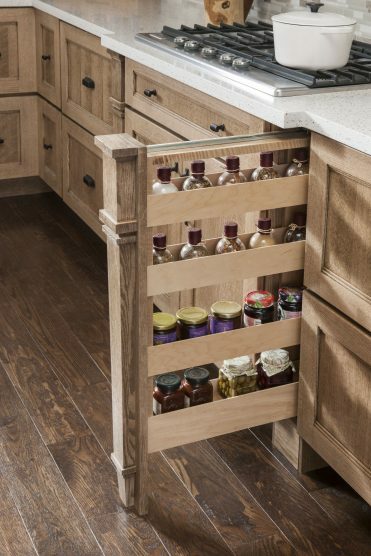 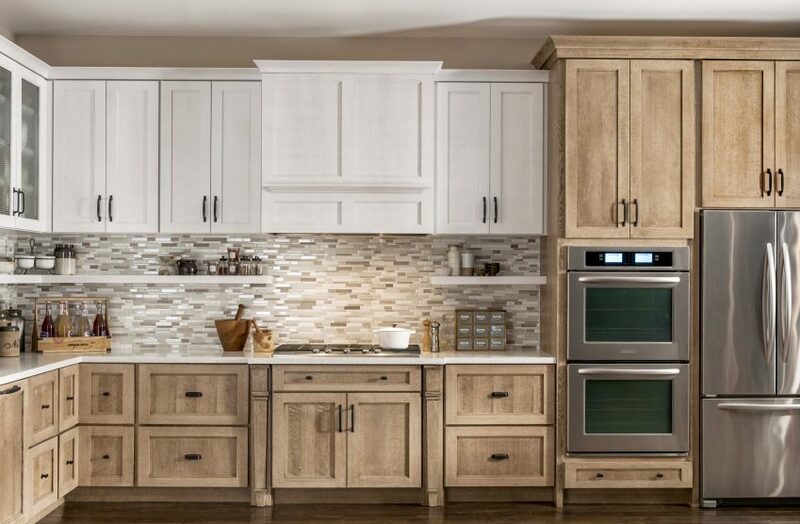 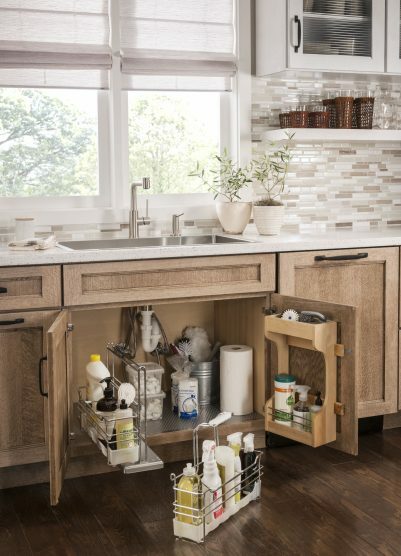 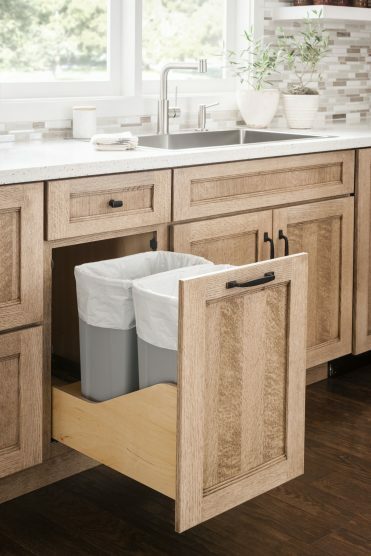 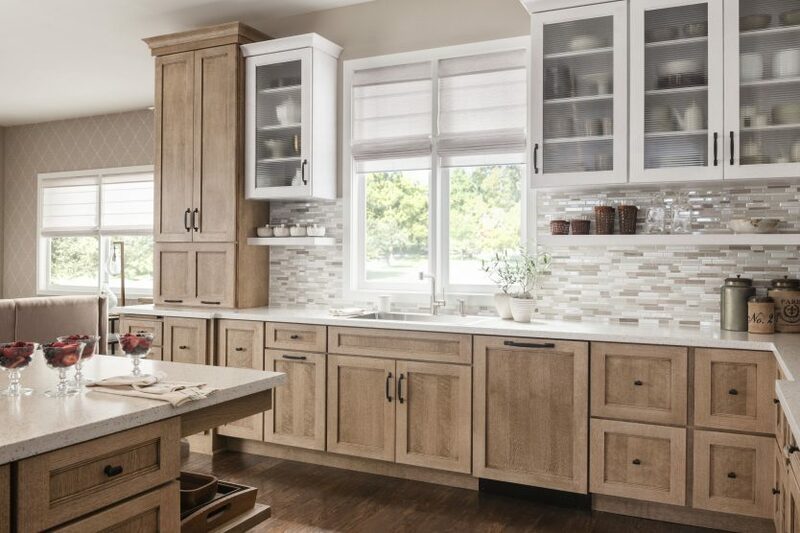 An expansive, Mission-inspired center island gives you the space to seamlessly host a crowd, and an extended table combines preparation and dining to make your everyday meals convenient. 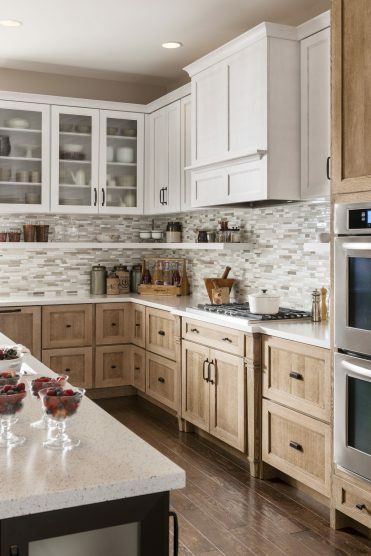 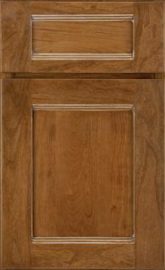 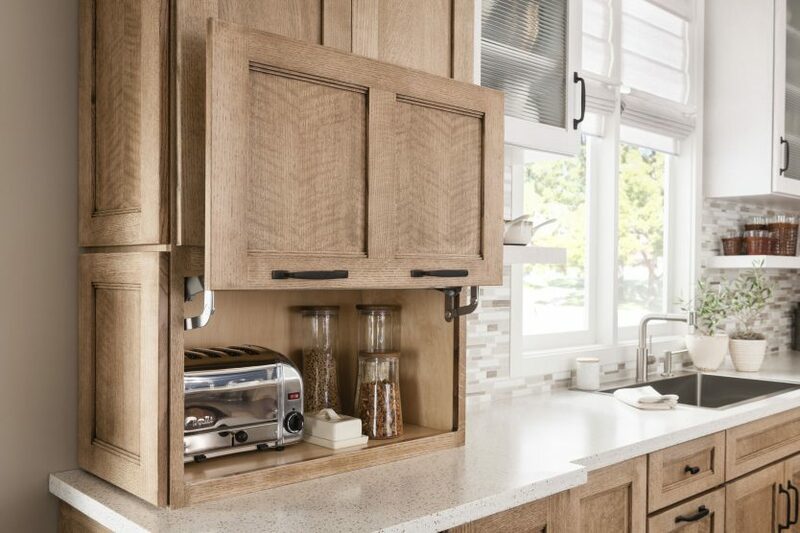 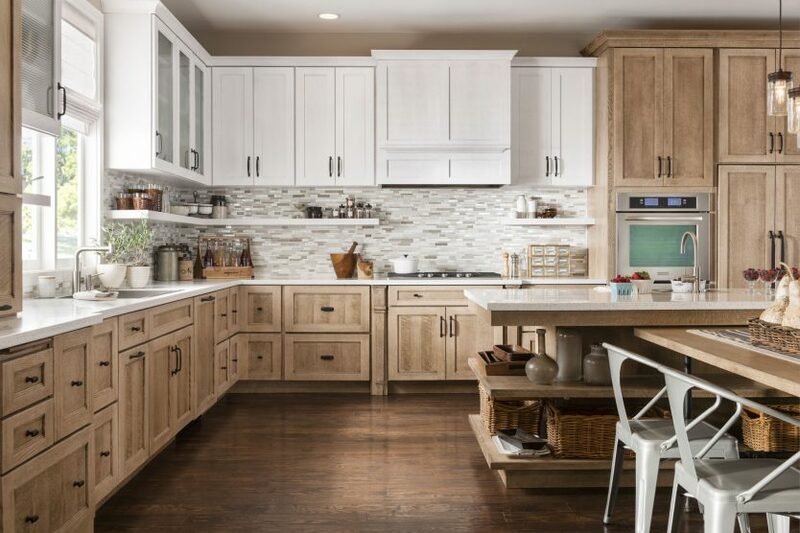 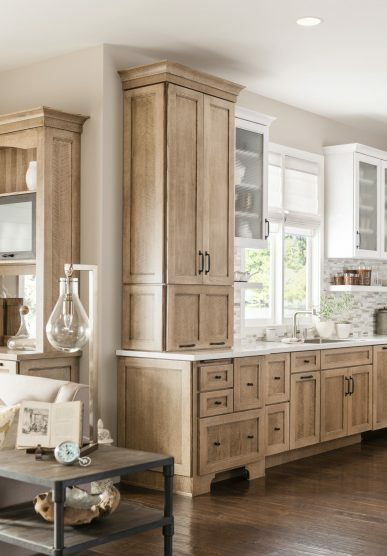 Accents of oiled bronze add character to the sun-soaked feel of our Cottage White and Cappuccino finishes. 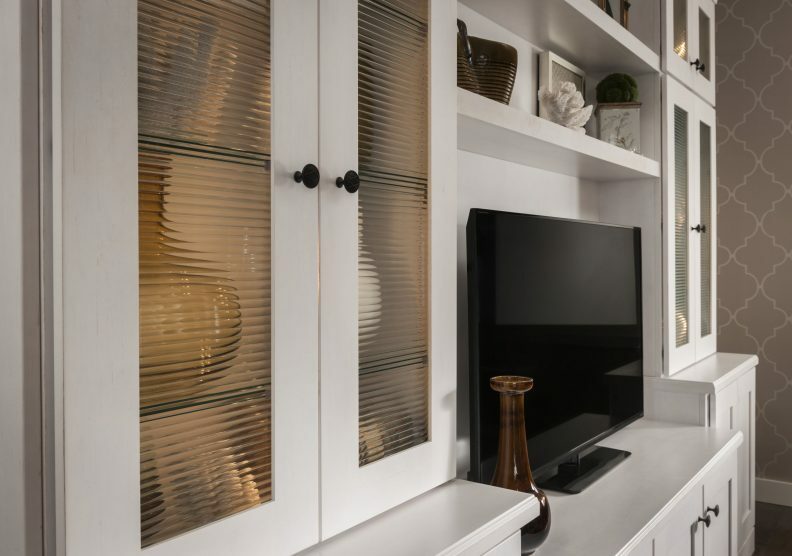 SIMPLE ELEMENTS, SMART DESIGN | We love the dramatic layered effect created by combining decorative glass and open shelving.